No documents needed. No proof of billing. No installation. For just 99 pesos, you can have your own landline instantly. Hard to believe, right? Well, believe me ’cause we got one last March. Earlier this year, I told my husband about our little Jade’s classmate who kept calling her through the landline number we had asked her to memorize in case of emergencies. The problem with this was that the landline phone was in the other apartment unit and was also being used by my father for his business. We did not have a landline in our unit as we deemed it unnecessary since my husband and I could always be reached through our mobile phones. After a series of phone calls from Jade’s friends though, we thought it wise to get a landline of our own. While browsing the net for options, hubby read about the PLDT Landline Plus which appeared to be the most convenient choice for us. When we went to the PLDT office, we were first offered the postpaid PLDT Landline Plus. It was also SIM based and required no documents but came with a minimum monthly subscription of 600 pesos. That was too much for something we would seldom use. The agent we first consulted did not know about the prepaid line so we were referred to another agent. In case the agent you talk is also clueless about the prepaid line, make sure you ask to be referred to another representative. There’s also Plan 150 which gives you 15-day incoming call service and 250 local minutes. In the event that you are unable to re-load and enrol in a monthly plan, you would be unable to make or to receive calls. You would still be able to receive incoming texts though. The SIM card works with any open-line GSM handset which is great for those who have dual SIM mobile phones. Although my mobile phone had an extra SIM slot, we opted to just purchase another mobile phone. We took into consideration the kids’ use of the phone so we opted for a sturdy candybar Nokia. 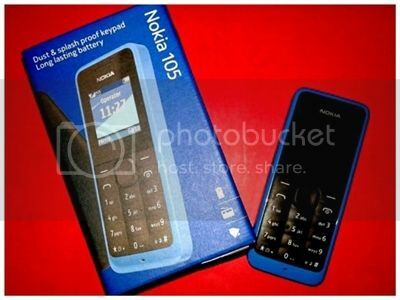 This Nokia 105 cost us 969 pesos. It’s lightweight and sturdy enough for kids to use. We have been using PLDT Landline Plus for two months now and we’re quite satisfied with it. Aside from the hassle-free way we were able to acquire our landline, we also love the very affordable monthly service fee. 300 pesos per month isn’t such a bad deal at all! Plus, the free texts and free mobile data are awesome bonuses. With our landline, I can conveniently make and receive calls anywhere within Metro Manila. Once I had to run a quick errand while my little kids were in their music class, I left our landline with my daughter so she could reach me on my mobile phone in case of an emergency. She did call after a quarter of an hour – not due to an emergency but to check if I was ok. Although it’s very convenient to use, the PLDT Landline Plus does have a few downsides. For one, it only works in the region where you purchase it. In our case, our SIM works only when we’re within Metro Manila. But I guess it would be too much to expect a portable landline to work anywhere we go within the country. Or is it? Hmmm…. Another thing that the company needs to improve on is reliable connection. There are certain areas where signals are low and I’m unable to make or receive calls. There were also instances when signals would waver while I’m on the phone. This sometimes results to calls getting cut. 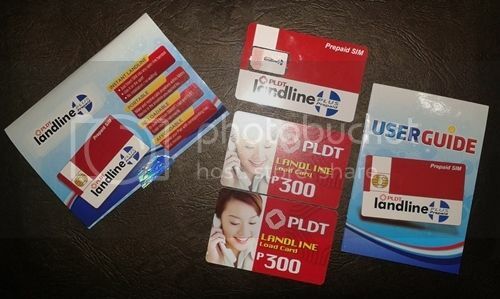 Would We Recommend The PLDT Landline Plus Prepaid? If you have no existing landline and find a need for one, YES, we would recommend this prepaid landline. Applying for a postpaid landline usually entails a hefty initial payment (advance monthly subscription, installment fees, phone, etcetera) and a long waiting period. With the Landline Plus Prepaid, you shell out only a few hundred pesos and you get a working landline within several minutes. You may have to deal with the occasional low signals but the advantages far outweigh the drawbacks. Ask ko lang po sana, kung doon ba sa Prepaid Plan na 300, makaka-receive po ba or mkakatawag ba sa Globe Landline numbers? Baka po kase need pa ng xtra load pra sa globe landline ehh. Thanks po! Wala po ako landline. How will i apply for this prepaid landline? Pumunta lang po kayo sa PLDT office na malapit sa inyo. May fill-up po kayo na forms doon. Tanong ko lang po, kaya bang macontact ng PLDT landline SIM ung 667-0850? Converge Internet customer hotline sya. Kaso hindi ko matawagan gamit ang Sun at Smart. So baka hindi rin gumana with PLDT landline SIM. Hindi ako masagot ng PLDT agent kasi wala silang demo connection.